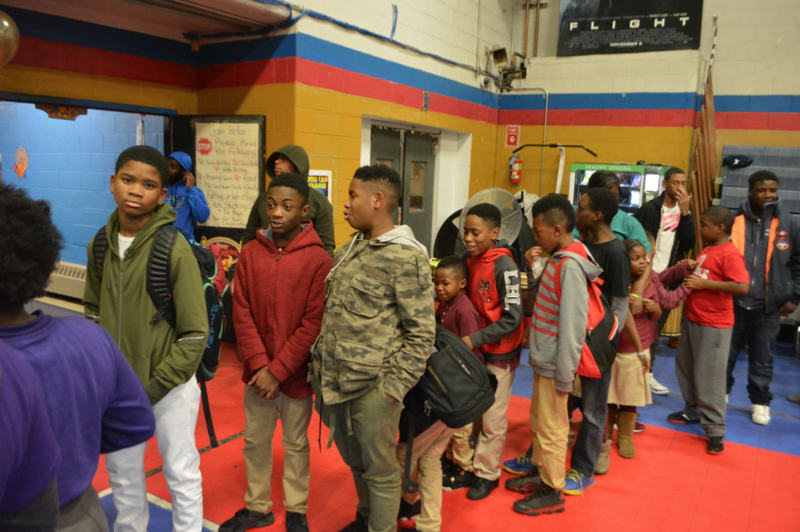 Hundreds of kids and their families in Mount Vernon got an early taste of Thanksgiving Thursday night, November 16, as they attended the annual feast at the Mount Vernon Boys & Girls Club. 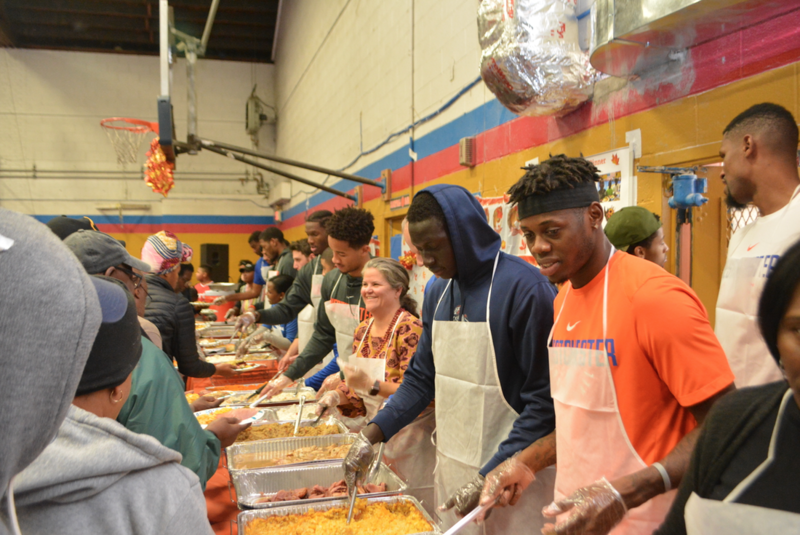 This year’s event attracted a record crowd due to the fact that members of the Westchester Knicks and their coachers volunteered to act as servers. Lowes Moore, Executive Director of the Boys & Girls Club, acted as the Master of Ceremonies. He was accompanied at the microphone by Chief Professional Officer Mel Campos, who provided welcoming comments. Also welcoming the huge crowd was Board President Fred Powers. 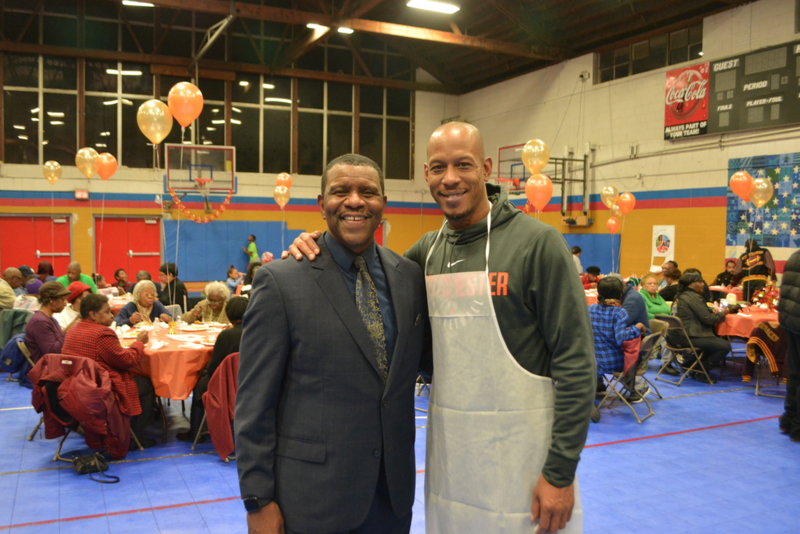 This year’s event involved many dinner sponsors and part of the long list of volunteers included York International, one of the leading independent insurance brokers in the nation. 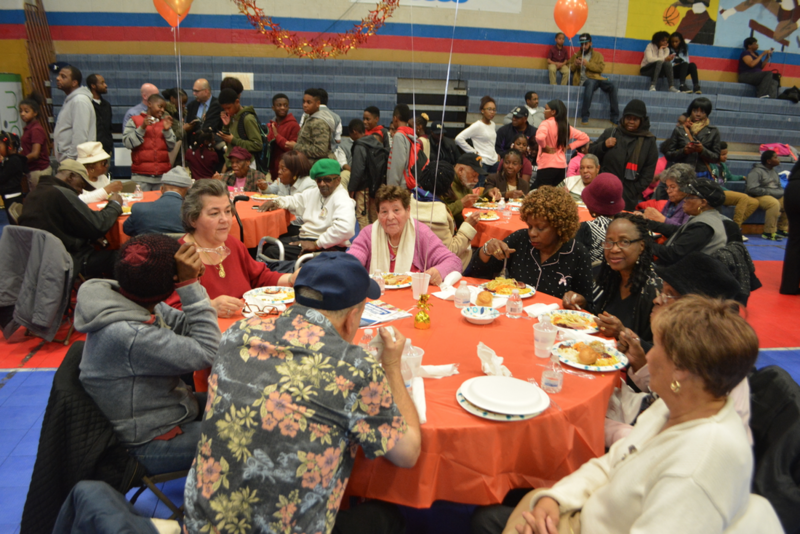 On hand were nearly 200 seniors and several veterans who all received special attention throughout the event. 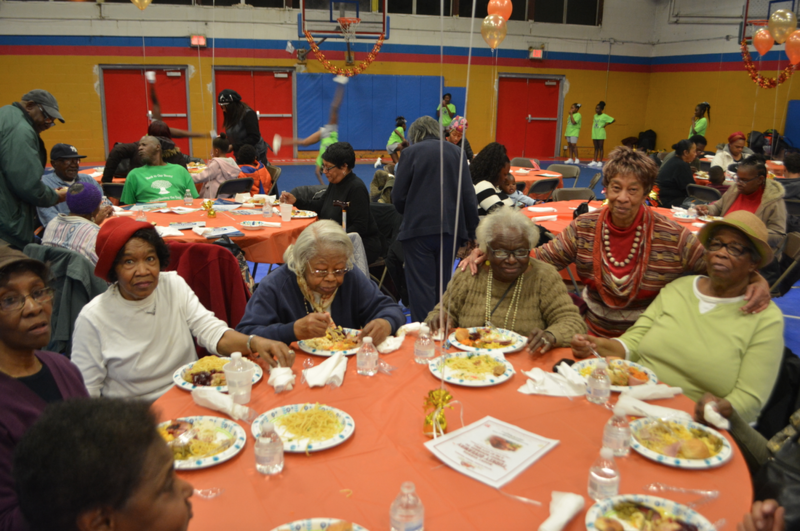 Entertainment was provided by the Revelators Dance Troupe, Alpha Cheerleaders and the Mount Saint Michael Drum Corps. 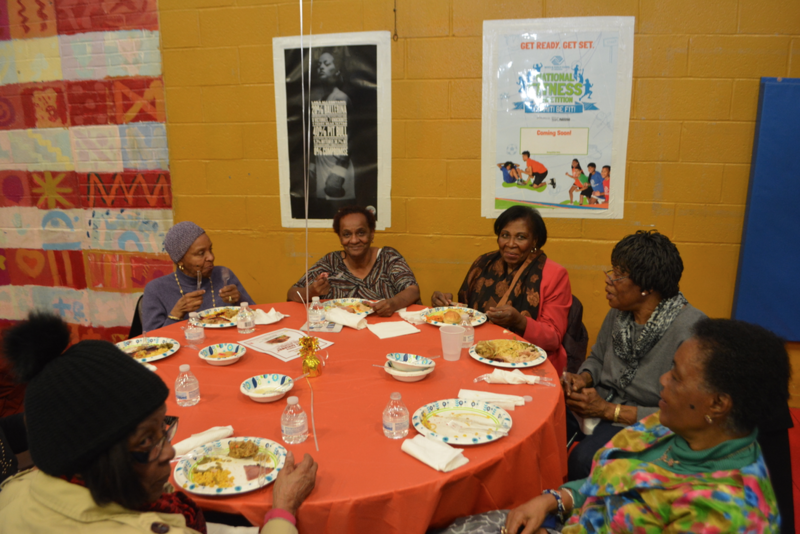 As always, the Thanksgiving dinner was delicious and enjoyed by everybody.